Grapes: Intense ruby red with garnet highlights. A wine of remarkable intensity on the nose, which layers bell peppers and wild berries over a background note of vanilla. The palate San Leonardo is a skilful blend of wines three grapes that are fermented and aged separately: 60% Cabernet Sauvignon, 30% Cabernet Franc and 10% Merlot. Before it goes into bottle, the precise proportions of the blend are decided only after rigorous tasting of samples, barrique by barrique. 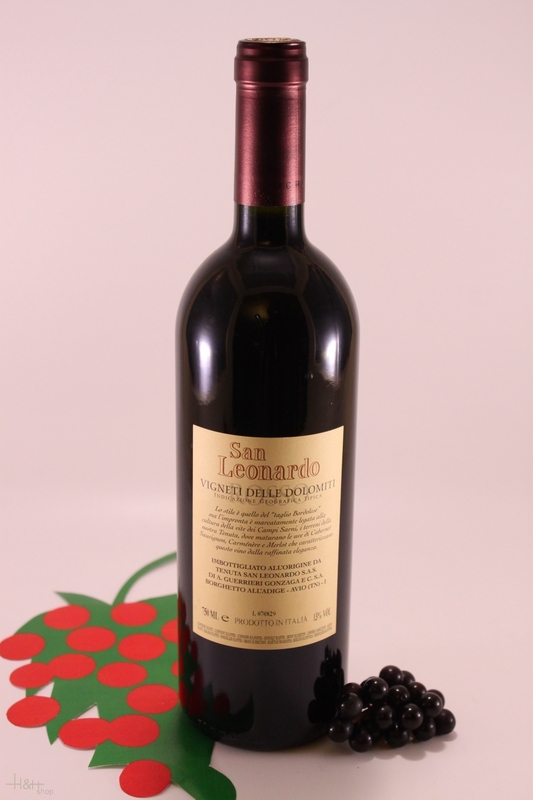 Characteristics: San Leonardo is the magical heir to a tradition known the world over as Bordeaux blending. Dreams and heritage mingle to bring you a wine that conveys all its land-rooted character and genuine territory-focused appeal. 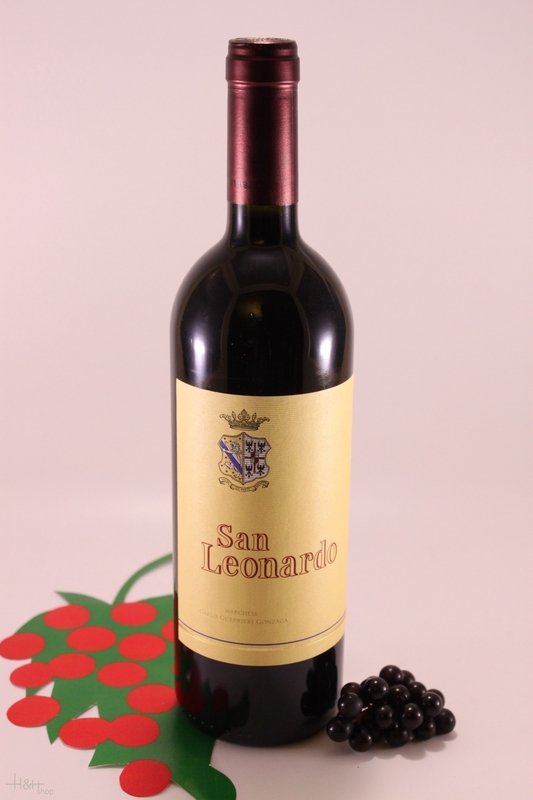 A powerful yet elegant red, San Leonardo brings together the colours, aromas and savours of Cabernet Sauvignon, Cabernet Franc and Merlot aged in small oak barrels, melding them harmoniously into a uniquely intense, full-bodied wine with superb depth of flavour. Sensory Analysis: Intense ruby red with garnet highlights. A wine of remarkable intensity on the nose, which layers bell peppers and wild berries over a background note of vanilla. The palate is full, warm and impressively rounded, with intense aromatics that linger on the palate. reflects the fruity bouquet with its scents of apples and pears. The harmony is completed with a rich and fine sapidity.